In our conversations with others, we must learn to say what we want as clearly and kindly as possible, yet . . . leaving no doubt as to our desire. Otherwise we learn, too late, the painful lesson that unspoken assumptions always return to bite the hand of the one who holds them. Before you can learn how to change your destiny, you must first realize that secret place within yourself where your own future is created. You must consciously enter that place of power where all of your life-choices are made for you. It's called the Present Moment: The Now. And this Now is the seed of all that comes later. The following paragraph helps us see into this great mystery. It's only what you do right this moment, right Now, that's the seed of personal change. And in the endless beauty and mystery of what is the Now, this same seed of change is also the seed of your new and higher nature. Grasp the meaning of the next sentence, fully, and you'll have your first glimpse of just one of the special ways in which The power of the Present Moment can help you change your destiny. If you choose to change right Now, then you won't have to worry about how to be different next time! Make it your moment to moment practice to stay awake, and to watch for all the opportunities that your own Now presents. Keep your efforts personal, practical, and to the point. If your inner work doesn't transform the whole of your life into a more relaxed, amazing, and uplifting experience, then you're dreaming, not changing. To help you begin this important process of using the power of the Present Moment for personal transformation, following is a list of just five of the countless opportunities each day presents for you to be free Now. Learning how to use these moments leads to real inner change, which is the same as being in command of your own destiny. Special Insight: There is no pleasing the fear you may displease others. Allowing what others may feel about what you want -- to change the way you feel about that same want -- is like believing someone else can put on your sweater, and that you'll feel the warmth! The only real pleasure comes from knowing that you have your own life. Take your life back Now. Special Insight: Drop any thought or action that creates conflict in the present moment for the promise of a better feeling to come. Your true nature is Now. There is no later. You can't be divided and be content. Choose to be whole. Begin by consciously refusing to compromise yourself. Special Insight: There is really no such thing as a shaky situation, so any time you start to tremble, don't look around you for the fault: look inward. It's the inner ground you're standing on that isn't solid. Any weakness faced by looking in this new direction becomes the foundation of a new strength. Face those fearful feelings. Fearlessness follows. Special Insight: Choosing what is true in spite of fearing what that choice may cost you is the same as giving yourself a fearless life. Here's why: Nothing you're afraid of losing can ever be the source of your fearlessness. Do what's true regardless of the consequences. All you can lose is fear. Special Insight: You can't change the kind of person you are later. There is no later. It's always now or never. You can't be kind later. And you can't learn later. But even if there seem to be times when you can't succeed with starting your life over, keep this one Truth in mind: You can always start over again. The time to change your destiny is Now! Succeed just once -- with any one of these unique exercises -- and you'll never be the same again. All will be New for you. 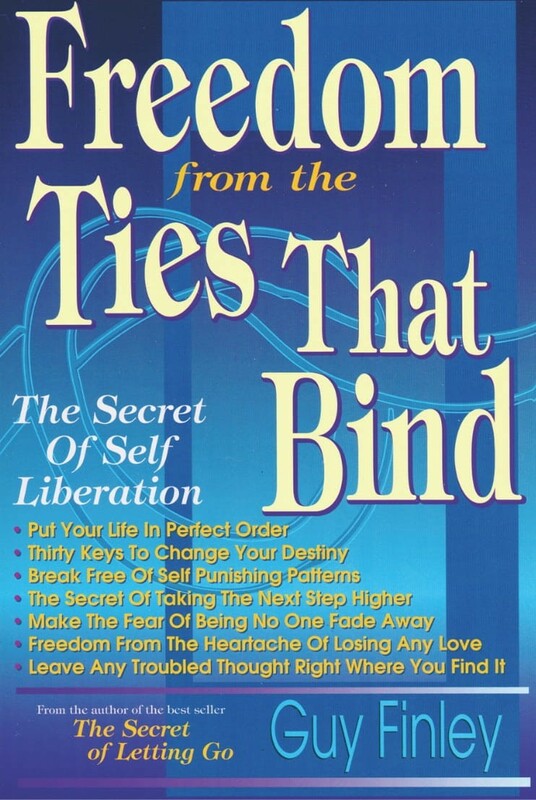 Excerpted From: Freedom From the Ties That Bind, pages 160-170.